You're new in town or just new to InterNations? Do you want to get to know other expats like yourself in town? Then you've found the right event! We are happy to invite you to our InterNations' Newcomers' Event. This event is exclusively for newcomers, so you can easily meet people who are new to town like you and make new friends. The venue is Hemmer, a bar in the heart of Ehrenfeld. 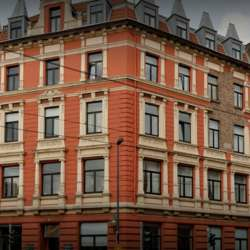 The place is very easy to reach and you can arrive by U-Bahn (subway) lines 5 (station Liebegstrasse) 3, 4 (station Körnerstrasse) or S-Bahn (station Ehrenfeld). There is no admission cost and you can just come and mingle. We will prepare an icebreaker game and friendly Ambassadors will give you a warm welcome and an introduction to InterNations.